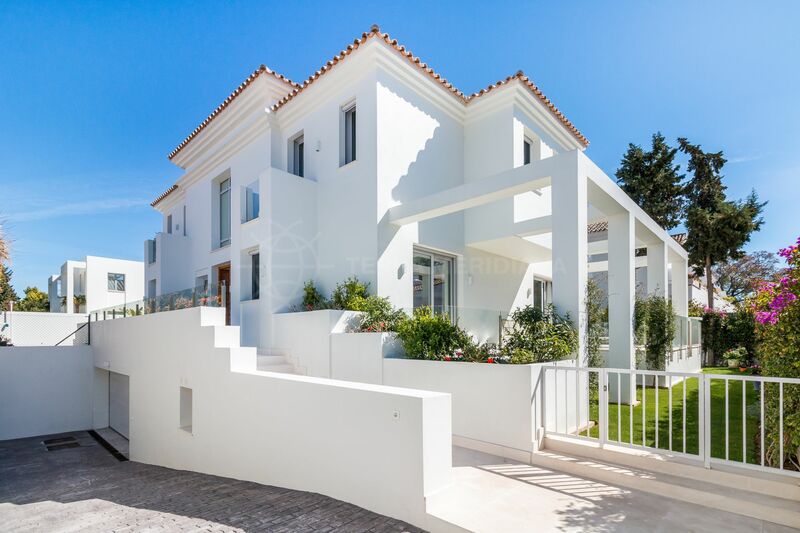 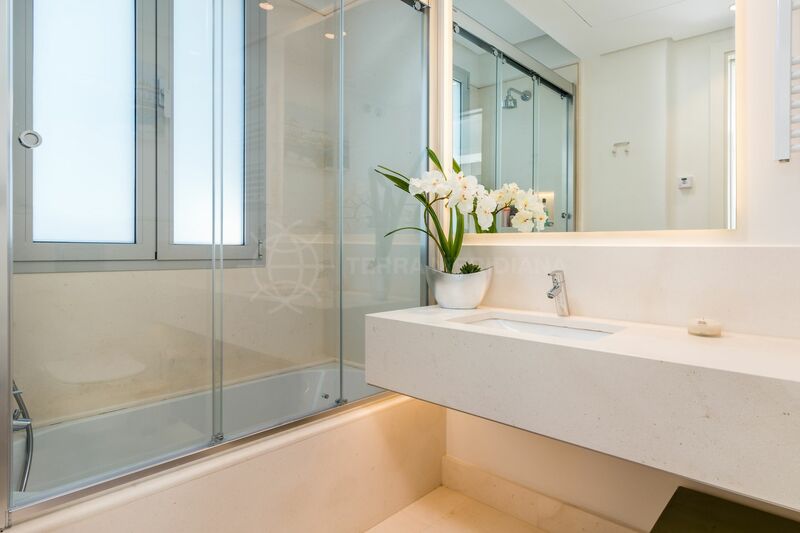 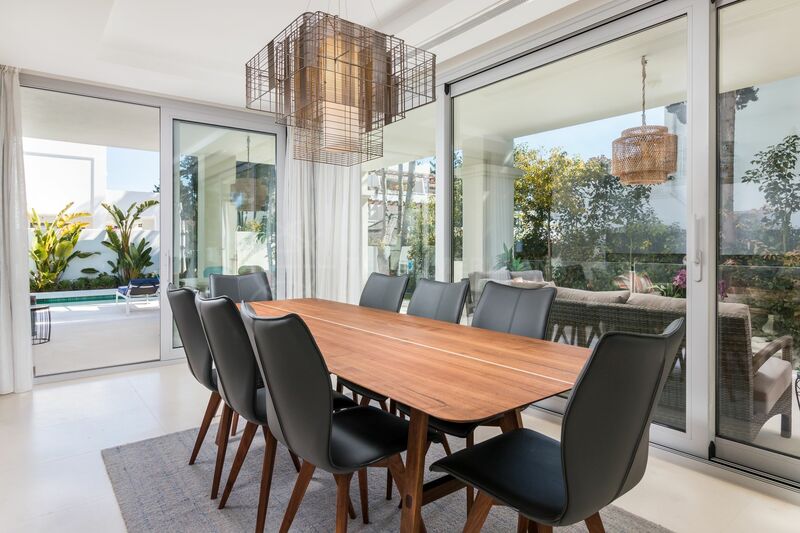 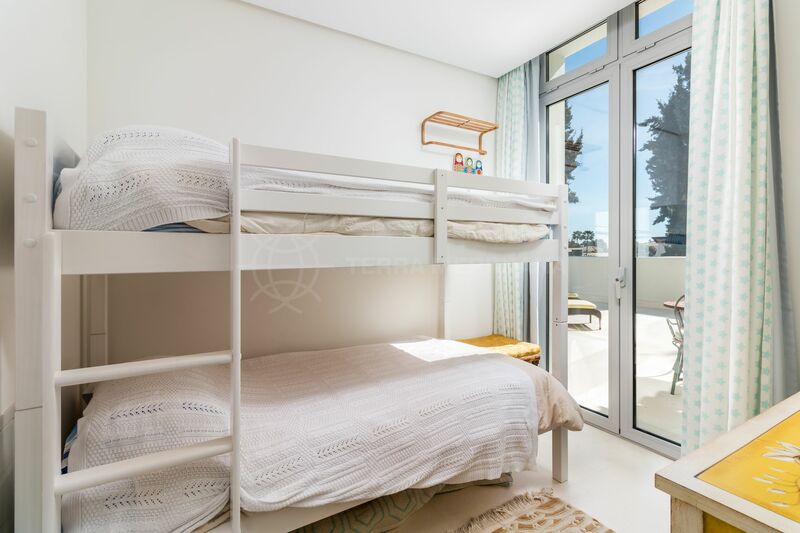 Located 300m from the beach this immaculate contemporary masterpiece offers an unparalleled luxury environment. 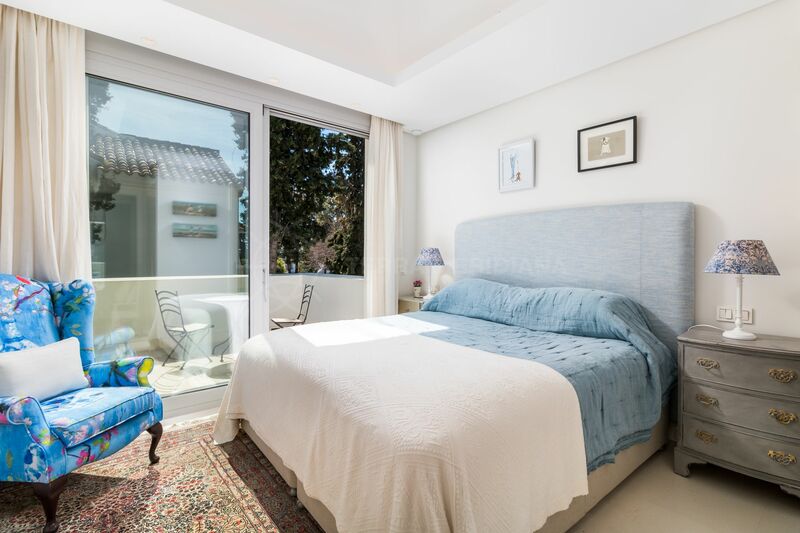 Boasting peaceful living and comfortable warmth the property is designed over 3 carefully planned levels. 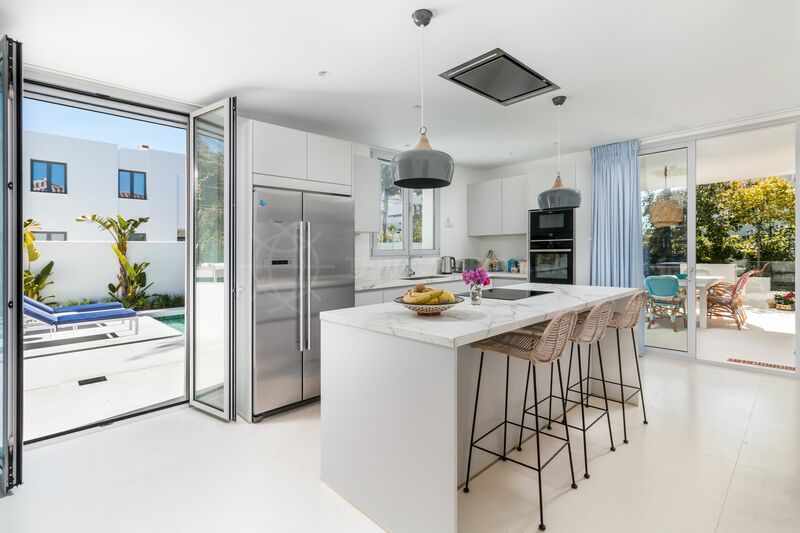 The main floor features a double height ceiling entrance with oversized windows allowing an abundance of natural sunlight into the home, a sizeable living and dining area with floor to ceiling sliding doors, a modern kitchen with breakfast bar and a guest suite. 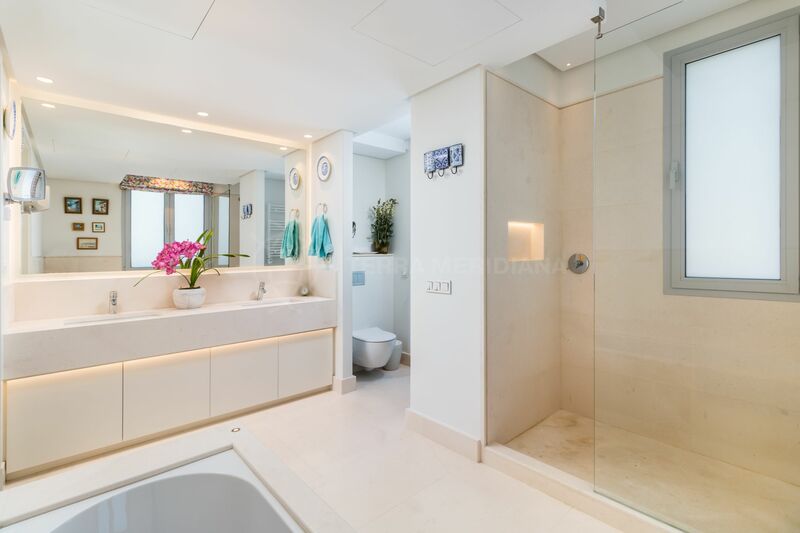 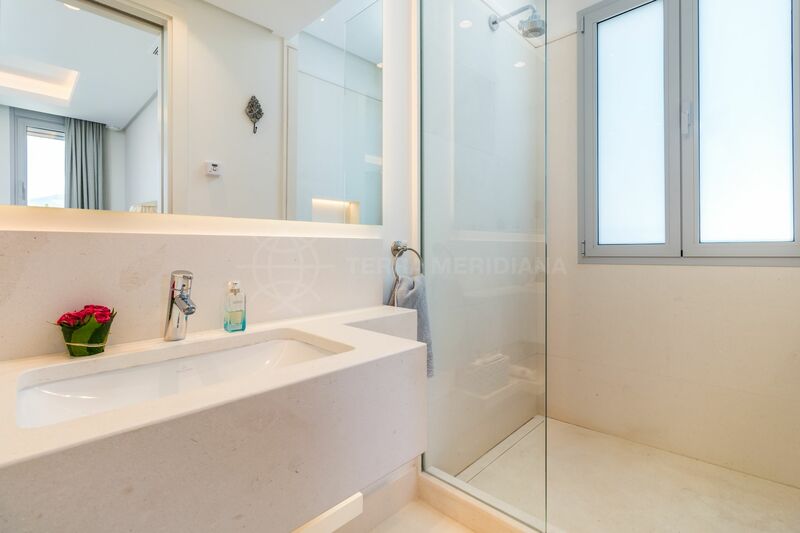 The first floor is comprised of the master suite with dressing area and a large terrace, another 3 bedrooms, one family bathroom and the other en-suite. 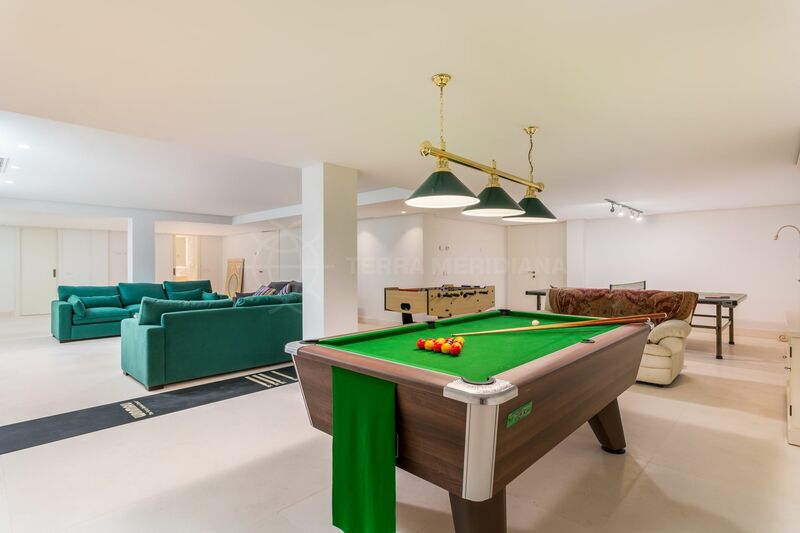 The lower level offers a big basement currently configured as a lounge and entertainment area but could easily be converted into a cinema/games room, wine cellar, spa or gym. 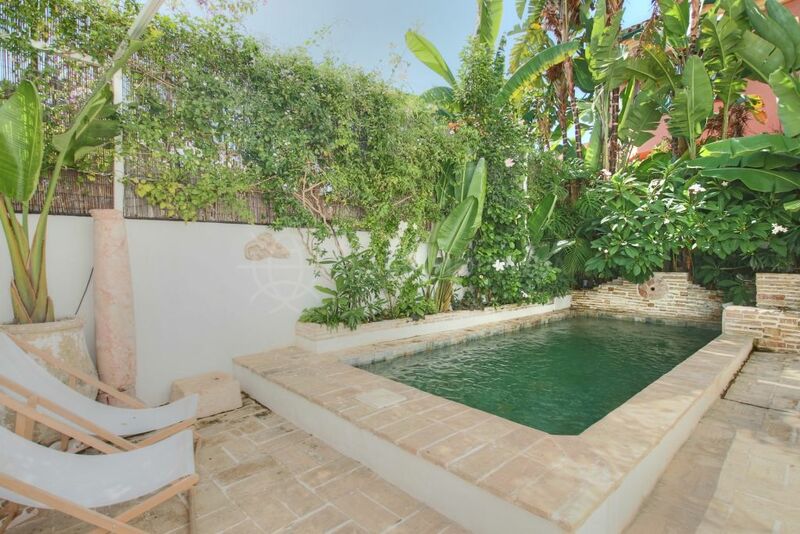 The outdoor space includes a lush tropical garden, a heated pool with cover and a sheltered terrace with a chillout area making this a perfect place for entertaining. 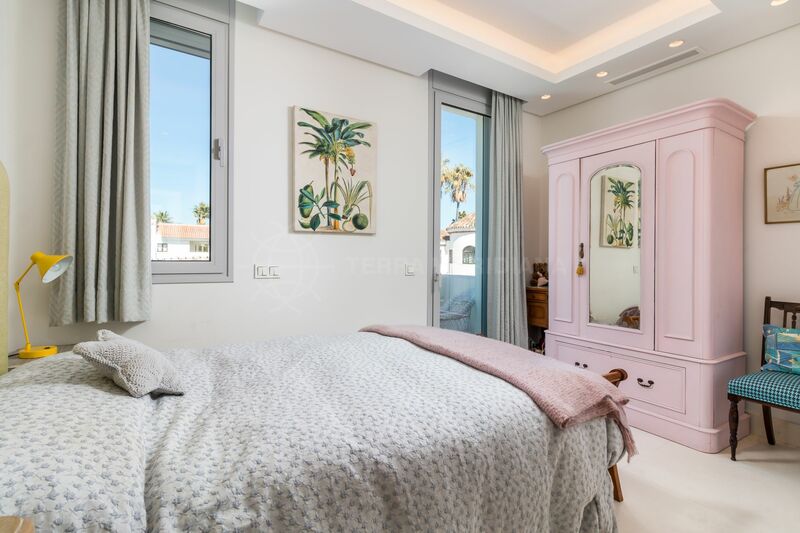 Situated in Cortijo Blanco and just a 2 minute stroll to the sandy beach, beach bars, restaurants, supermarket, and the promenade which stretches to Marbella to the east and Estepona to the west. 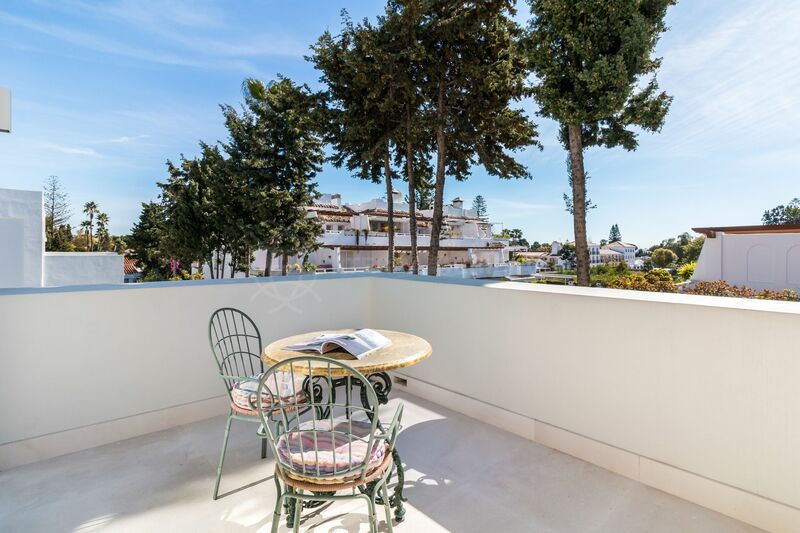 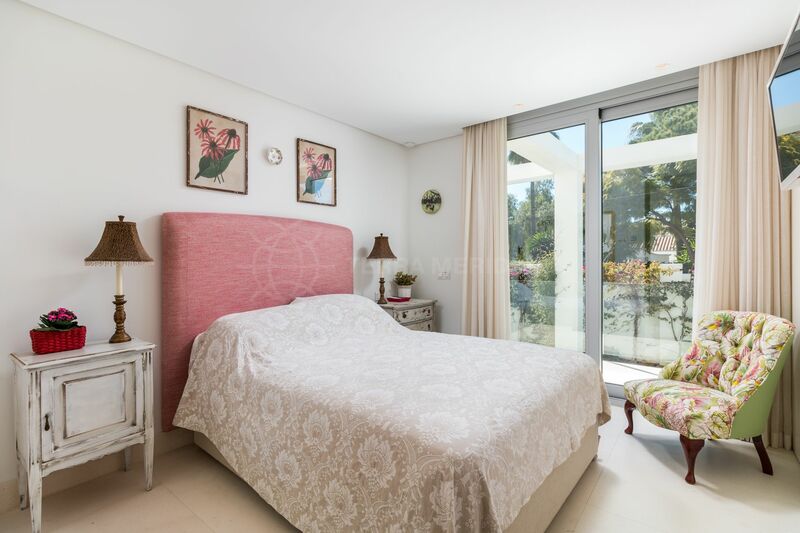 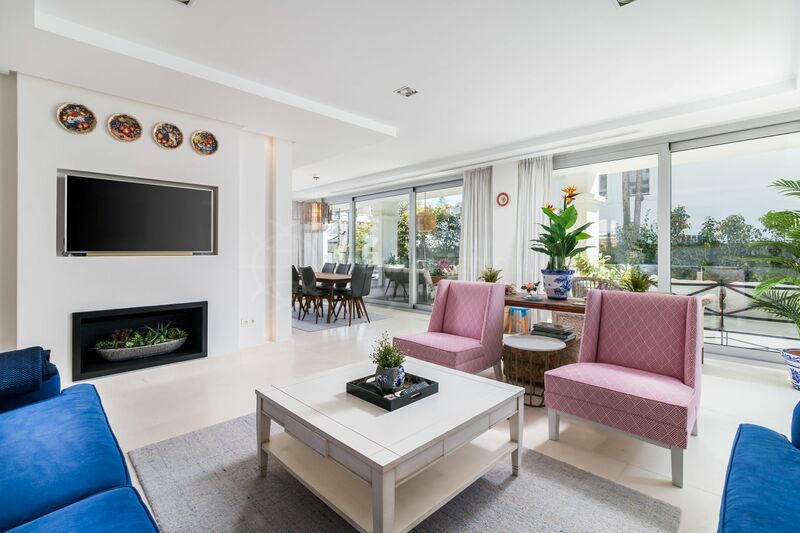 The property is a tranquil compound in the midst of the best part of Puerto Banus. 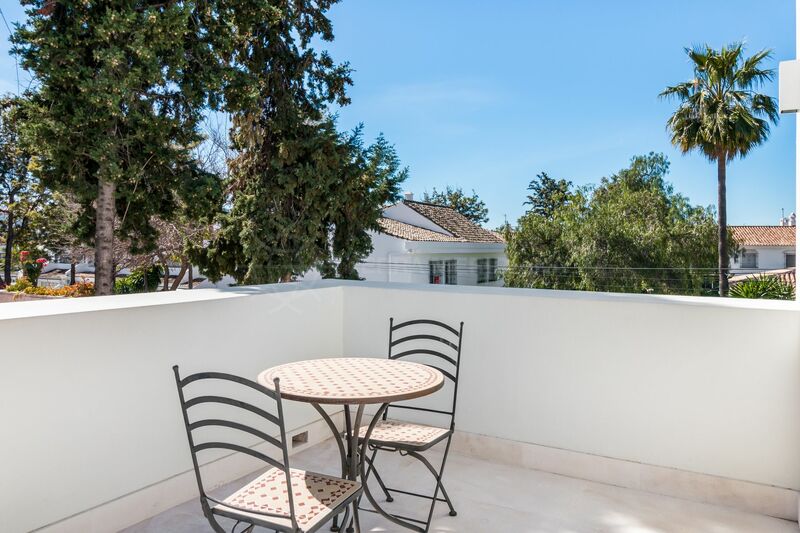 The international airport in Malaga is approximately 45 minutes by car. 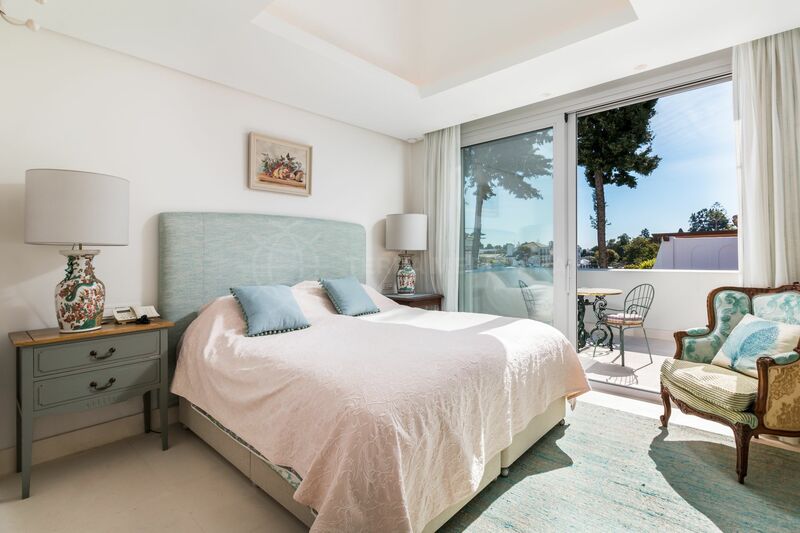 "A property offering an unparalleled lifestyle of serenity and luxury next to the beach." 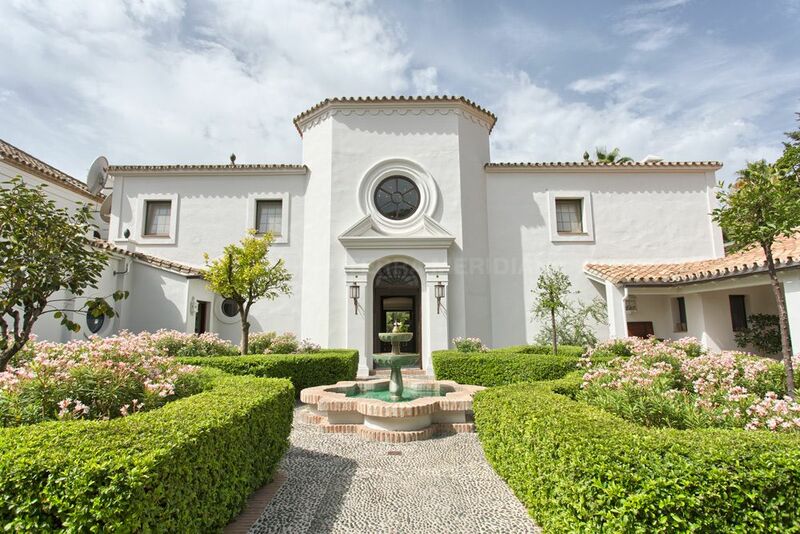 Please, send me more information about ref TMNV0813, Villa in Cortijo Blanco, San Pedro de Alcantara or similar properties.